In this installment of TechChat, Education World talks to MobyMax’s CEO Glynn Willett. A co-founder with his son Wade Willett, the two are aiming to provide a complete and affordable K-8 personalized and blended learning solution. Willett discussed the company’s Touch Curriculum™ technology, which is used in Cognitive Skills Science curriculum, and will be incorporated into the other areas of learning they cover, and other thoughts on integrating their products as an EdTech learning solution. What type of results can be expected when users choose the free version of the product versus the paid “full solution”? MobyMax is committed to offering high-quality free curriculum to every student in the world. This means that students using the free version of MobyMax are getting the same high-quality instructional resources as pro account users, ensuring that all students have equal access to MobyMax. As a result, we see exactly the same student results whether they are using a free account or a pro account. Where the pro, or paid, account makes a real difference is to teachers. Teachers with a pro account have access to a suite of tools that make MobyMax a complete education system. With these tools, which include progress monitoring, messenger, behavior management, motivational tools, IEP reports, printable worksheets, and a student response system, among others, teachers save hours of work each week. It's also important to mention that our pro teacher license is only $99 dollars. The visuals the program uses to assist in learning are both compelling and helpful in terms of reaching learning goals, but what makes MobyMax's approach special over other products that emphasize visual learning? Rather than emphasizing visual learning, MobyMax is pioneering Touch Curriculum™ that we believe will revolutionize how students learn. MobyMax has developed a suite of innovative problem solving formats that allow students to drag, drop, organize, choose, write, create, and more. Besides being a much more engaging way to learn, our Touch Curriculum ™ also pushes students to examine topics at a deeper level. MobyMax covers math, ELA, science, and test prep for K-8. What expertise is brought to the table when crafting out a curriculum’s worth of resources for each grade level? Our high-quality curriculum is developed by a team that includes expert curriculum developers, teachers, artists, interface designers, and engineers. We’ve invested over $10 million dollars to assemble this team and develop the tools needed to create Touch Curriculum™. Our unique blend of talent and technology lets us create high-quality curriculum that enables students to learn twice as fast. We can also adapt to new curriculum demands very quickly as a result of the experience and expertise of our team. Tell our readers a bit more about adaptive test prep, and how this solution is uniquely implemented by MobyMax. MobyMax's guiding philosophy is to create a system that allows students to learn twice as fast. In order to achieve this audacious goal, differentiation is key. Students have different strengths, weaknesses, and knowledge gaps. If you're going to learn twice as fast, you can't waste time reviewing material that you've already mastered. Using these principles, MobyMax created a Test Prep module that quickly diagnoses where students are struggling and what they've already mastered and targets instruction where it's most needed. To do this, we've mapped out the requisite skills needed to master each standard in every grade of every subject. Using this map, we provide students with a series of questions to diagnose where gaps in their knowledge exist. 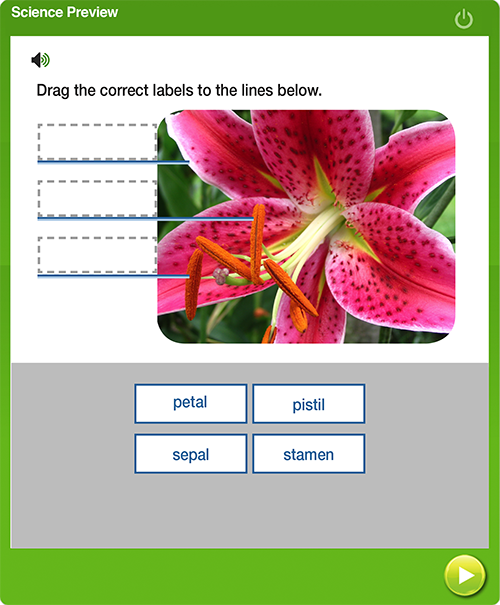 When MobyMax finds a gap, it automatically drops the student into the lesson associated with that content knowledge to patch the gap. After students have demonstrated mastery, they return to the adaptive test prep until another gap is found. This adaptive, differentiated approach is absolutely essential for any teacher who wants to adequately prepare all of their students. There simply isn’t, nor should there be, a one-size-fits-all approach. However, it takes a complete curriculum, accurate diagnostics, and the ability to address skill gaps in real time in order to help students succeed. MobyMax is uniquely positioned in that it has both the curriculum and technology to accomplish these goals and make a crucial difference in a student’s success. To learn more about MobyMax, visit here.